Hey guys! I'm so excited to be offering this giveaway for the figurine that they are giving out with a special ticket for Red Sox Grateful Dead night on 4/11! 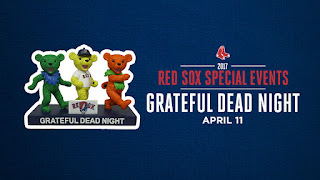 As I mentioned a few weeks ago, you can enjoy this special themed game which includes a pre-game concert on Yawkey Way by “Playing Dead,” a Grateful Dead tribute band. With your purchase of an event ticket, you will receive a limited edition Red Sox Dancing Bears figurine. Proceeds from tickets sales will benefit the Rex Foundation, the official charity of the Dead. A VIP ticket is also available which includes an upgraded ticket into the Coca-Cola Pavilion Reserved section for the game. 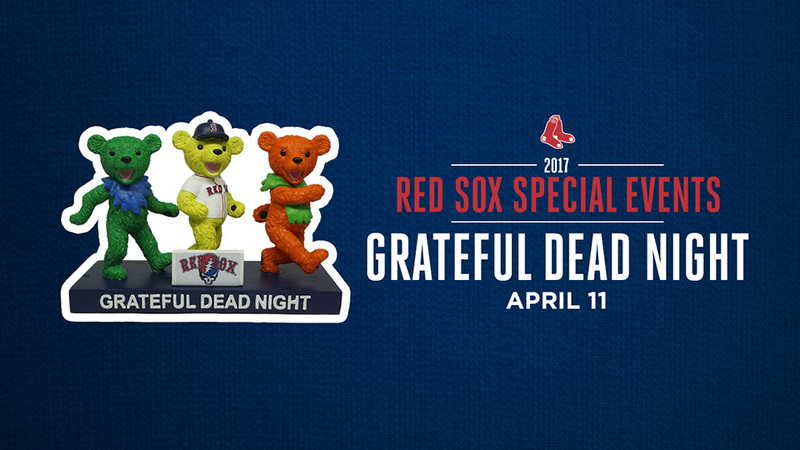 More information can be found at redsox.com/GratefulDead. NOTE: As a Red Sox Parent, I was provided one figurine for myself and one figurine to giveaway. No other compensation was provided and as always, all opinions are my own.